This quilt was a definite squirrel. I was given a bunch of solid cotton poly blends so I took a minute or two from what were top secret pieces at the time and played. 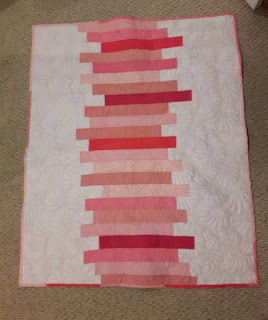 Two tops were made that I then put away for a more appropriate quilting time. This quilt is about 40 inches wide by 46 deep. It was also probably my first time quilting in a thread that was absolutely going to show. 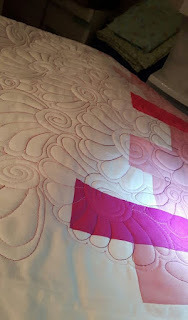 Note to self: Learn quilt blocking. The quilting made it all warpy so I had to cut a bit off the last line to put it back into square. 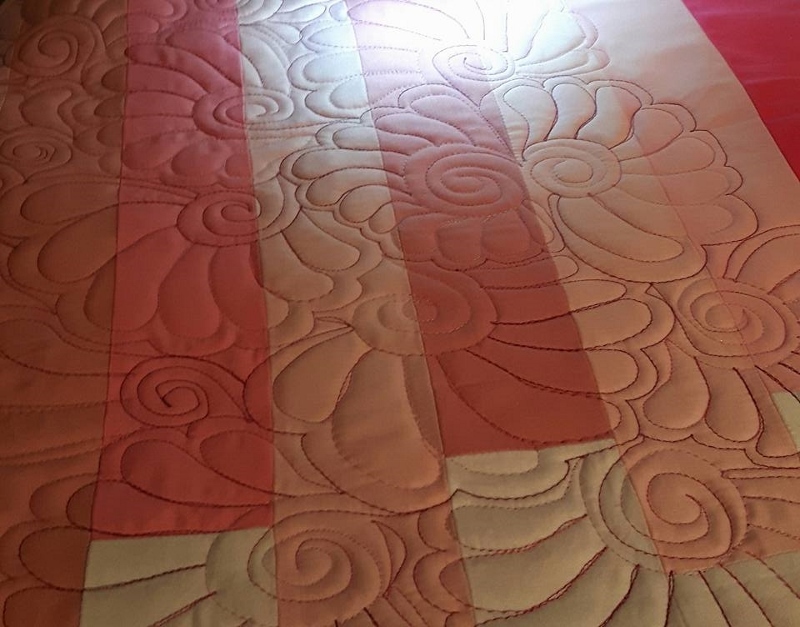 Flamingos ended up in the "quilts for missions" category because after it was done, there was an opportunity for it to go to a little girl locally as part of a Christmas campaign through the Salvation Army.